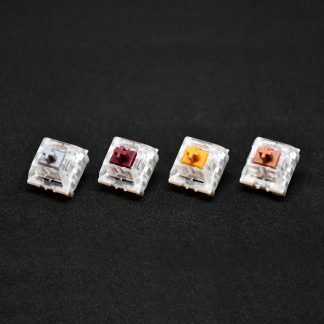 These are the new retooled Kailh Box switches with a cross stem x-axis of 1.30mm so that there is no risk of keycaps getting cracked. 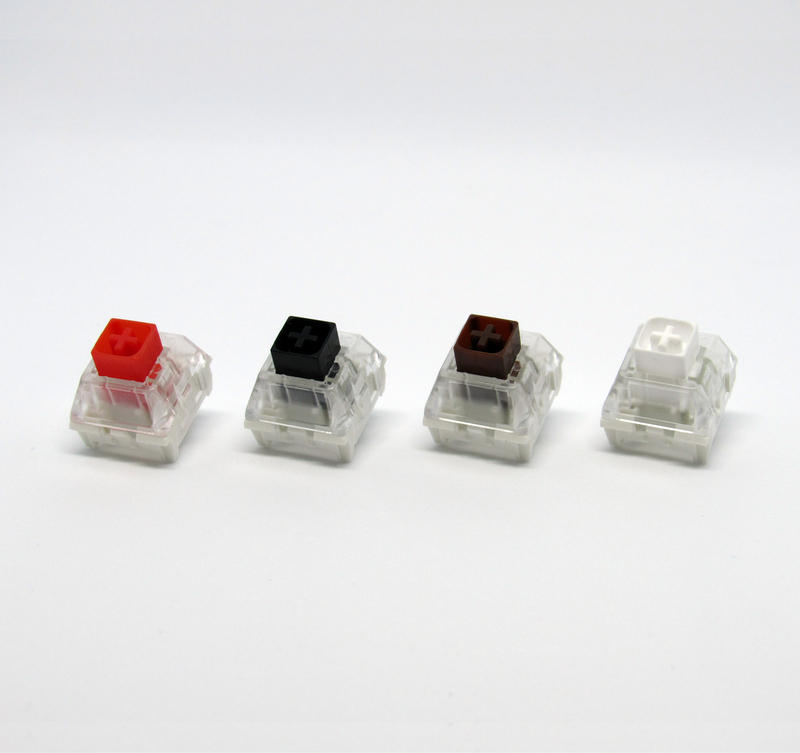 Due to the IP56 water resistant construction of the switches, Kailh Box switches are compatible with SMD LEDs only. They are not compatible with regular through-hole LEDs. 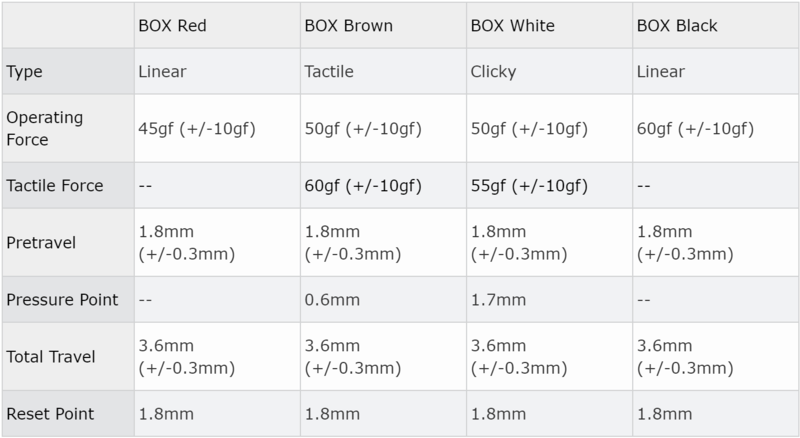 Refer to the chart below for a breakdown of each switch’s attributes. 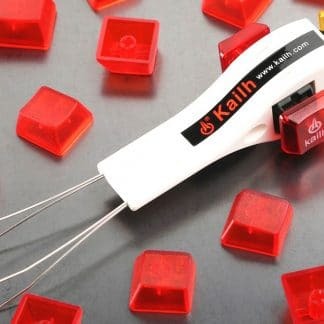 These Kailh box switches have stems which are surrounded by a “box” which provides two functions. First of all, it keeps liquids, dirt, and dust from getting into the switches. This is especially important when the keycaps are taken off of a board and the switches are left “naked” for a time. Second, the surrounding “box” supports the stem during the keypress and therefore restricts the stem from any horizontal movement, or “wobble” when moving downwards and when the switch is fully depressed. 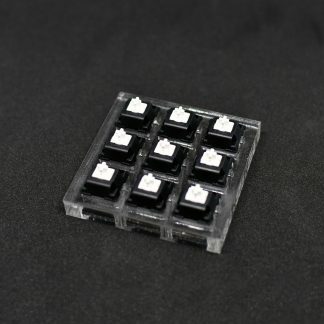 Box switches are rated IP56 water resistant and have a lifespan of 70 million keystrokes.